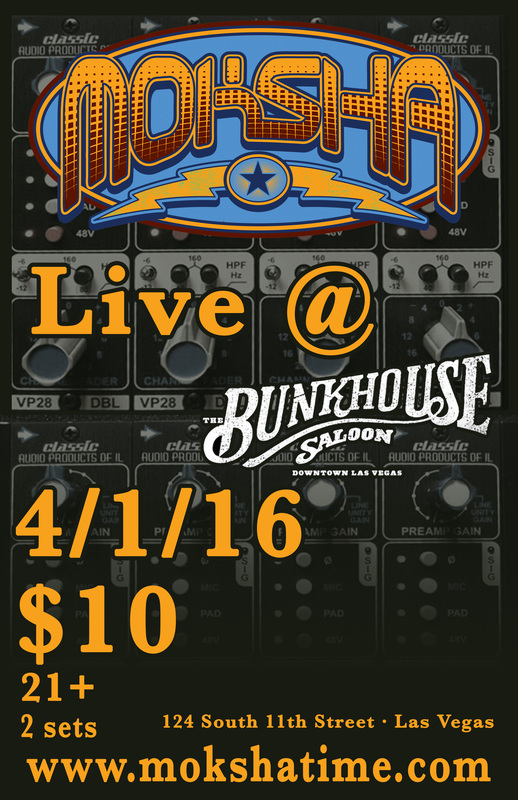 Notes: The kind folks at DIXIE BRANDS and Moksha have teamed up to bring you a FREE night of music at the Bunkhouse Saloon. The party starts at 6pm, music from 7pm-10pm. Come down and get 4/20 weekend started off right! Tecopa Takeover is a family friendly celebration of community and intimate gathering for those who believe that music is the soul of life. Our goal is to create a space for those to engage, create and spread the love. Friday 11/10/17 - Sunday 11/12/17. A quick 90 minutes from Las Vegas! Camping is not included in the ticket price. Please contact either Tecopa Hot Springs Resort at 760-852-4420, which is where the event is being held, or Tecopa Hot Springs Campground at 760-852-4377, which is next door, for camping reservations. Bringing back many of our favorite Tecopa Takeover artists and several new additions we know you will enjoy. This event is sponsored by Community Productions and the Las Vegas Jam Band Society. Saturday February 4th Moksha is playing a FREE & all ages show at Top Golf Las Vegas (located just behind the MGM Grand Las Vegas on Koval lane). 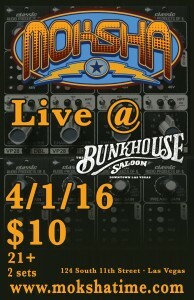 This is an awesome new venue and we're super excited to play there for the first time. 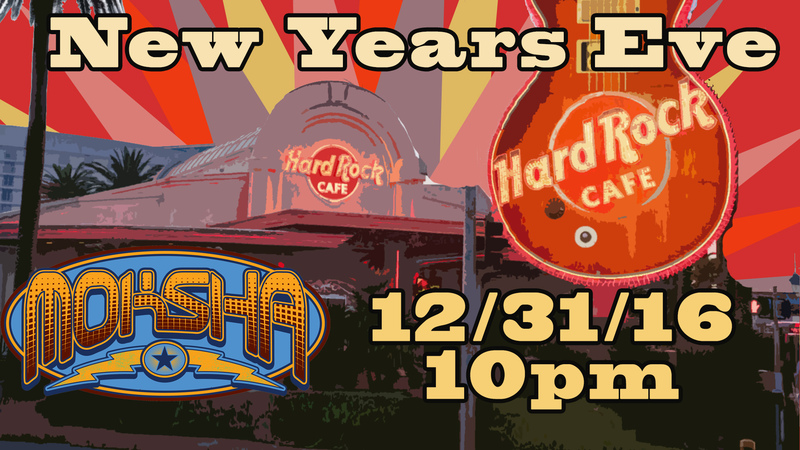 Moksha closes down the Hard Rock Cafe – New Years Eve! 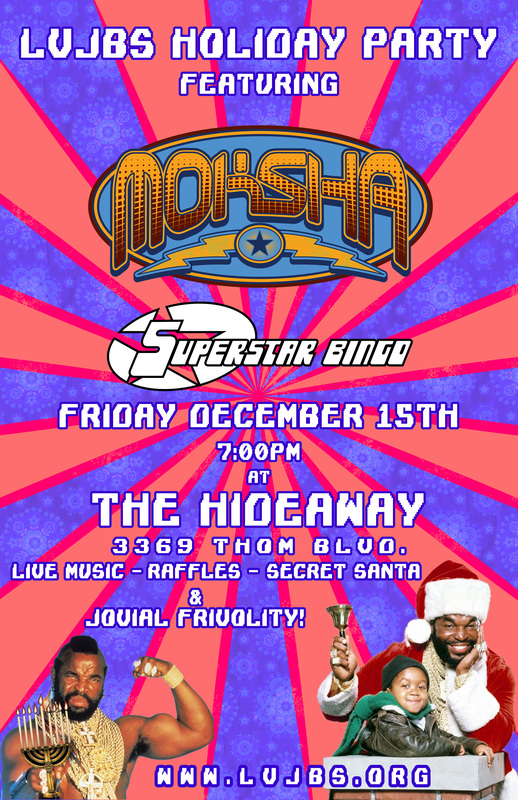 Come celebrate the closing of a iconic Las Vegas landmark with Moksha and special guest on NEW YEARS EVE! 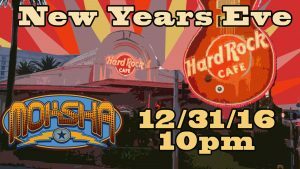 That's right, the classic Hard Rock Cafe located in front of the Hard Rock Hotel on the corner of Paradise and Harmon is closing forever on January 1st, 2017 so come party with Moksha one last time at this historic venue. There will be special guests, drink specials and there is NO COVER! Moksha hits the stage at 10pm. 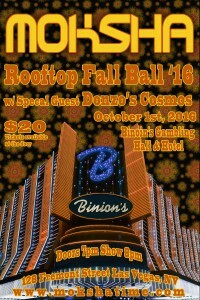 The Return of The Rooftop Fall Ball! 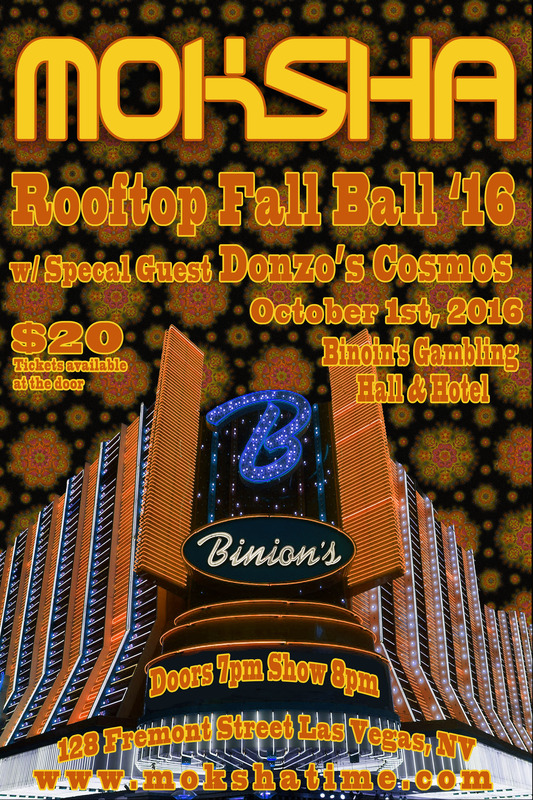 We are extremely excited to announce the return of Moksha’s Rooftop Fall Ball with special guest Donzo's Cosmos! This year it will be funkier than ever. The show will take place October 1st 2016 and tickets will be available at the door $20. We’ve always loved playing at this fan favorite venue for it’s unique views of downtown Las Vegas and the weather should be perfect for this poolside show. Notes: 10pm, 21+ 2 sets! We've just added a couple shows to the schedule. We'll be heading up to Salt Lake City for the 70's Love Shack party February 19 and return to play a show at the E-string in Henderson on March 12. More shows in the works so check out the TOUR page for more details! 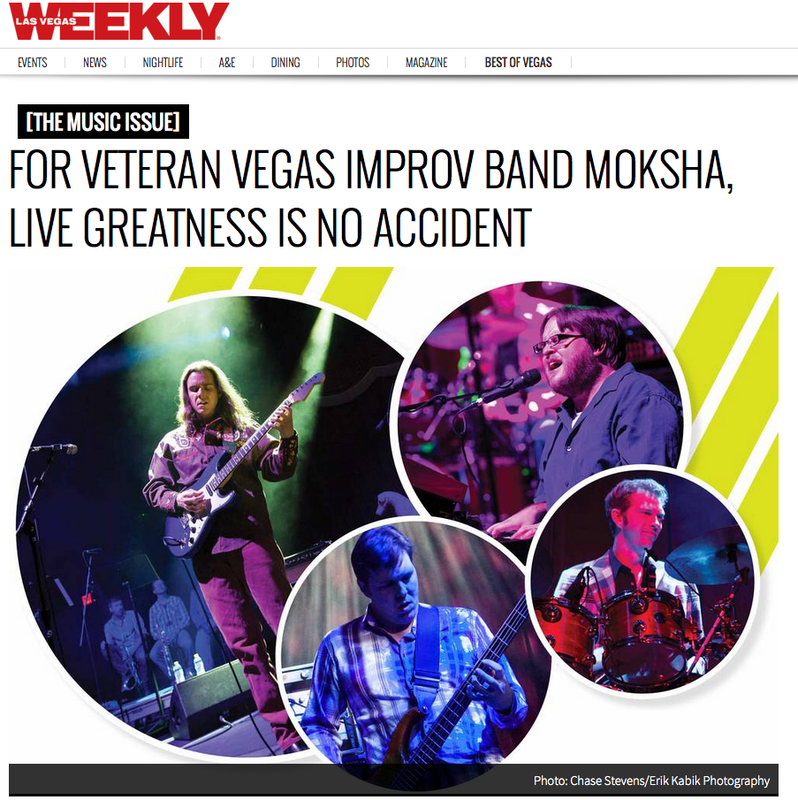 Moksha featured in Las Vegas Weekly 's music issue this week! Don't miss our show this Saturday as Hard Rock Live Las Vegas. FREE tickets available by RSVPing at this link.